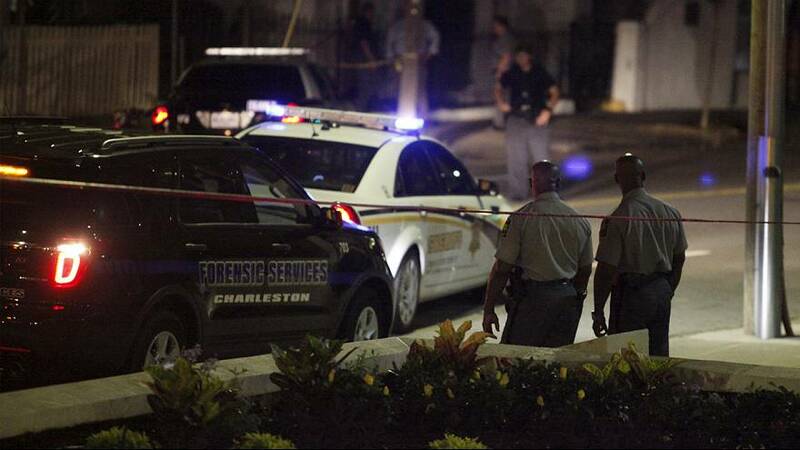 The search for the killer of nine people at an African American church in Charleston, South Carolina, continues. The police described it as a hate crime. At a prayer meeting on Wednesday evening, others were also wounded. The Emanuel African Methodist Episcopal Church (Emanuel AME), founded in 1816 in downtown Charleston, is the oldest of its kind in the southern US. The Reverend Clementa Pinckney, a Democrat member of the South Carolina State Senate, was identified among the dead. His sister was also reported killed. The suspect is thought to be a 21-year-old white male, described as ‘clean-shaven and slender, with sandy blond hair, wearing a gray sweatshirt or hoodie, jeans and Timberland boots’. Police, federal agents, helicopters, dogs and roadblocks were all involved in the overnight search for the killer. Information about the victims was not immediately released, and officials did not say how many people were in the church when the attacker walked in at just after 9pm on Wednesday. After the shooting, a bomb threat was reported near the church, swiftly followed by the all-clear. According to a report in Forbes magazine, Harvard researchers last October “found that the rate of mass shootings in America had essentially tripled in the previous three years. Reactions from community leaders, politicians and ordinary Americans through social media included calls for prayer and support for those close to the victims. One comment called the mass killing “racially motivated domestic terrorism”.